Scientists at The Scripps Research Institute (TSRI) have performed successful tests of an experimental methamphetamine vaccine on rats. Vaccinated animals that received the drug were largely protected from typical signs of meth intoxication. If the vaccine proves effective in humans too, it could become the first specific treatment for meth addiction, which is estimated to affect 25 million people worldwide. “This is an early-stage study, but its results are comparable to those for other drug vaccines that have then gone to clinical trials,” said Michael A. Taffe, an associate professor in TSRI’s addiction science group, known as the Committee on the Neurobiology of Addictive Disorders. Taffe is the senior author of the study, which is currently in press with the journalBiological Psychiatry. 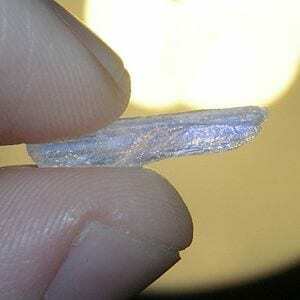 Over the past two decades, methamphetamine has become one of the most common drugs of abuse around the world. In the United States alone there are said to be more than 400,000 current users, and in some states, including California, meth accounts for more primary drug abuse treatment admissions than any other drug. Meth has characteristics that make it more addictive than other common drugs of abuse, and partly for this reason, there are no approved treatments for meth addiction. In recent years, scientists at TSRI and other institutions have taken the innovative approach of developing vaccines against addictive drugs. These vaccines evoke antibody responses against drug molecules, just as traditional vaccines evoke antibody responses against viruses or bacteria. Anti-drug antibodies are meant to grab hold of drug molecules and keep them from getting into the brain—preventing the drug from giving the user a high and removing the incentive for taking the drug. Vaccines against nicotine and cocaine are already in clinical trials. Some meth vaccines have been tested in animals, but generally with unpromising results. The methamphetamine molecule is structurally simple, making it relatively unnoticeable to the immune system. Meth and its main metabolite, ordinary amphetamine, also tend to linger once they get into the nervous system, so that even a little drug goes a long way. “The simple structure and long half-life of this drug make it a particularly difficult vaccine target,” said Kim Janda, the Ely R. Callaway, Jr. Professor of Chemistry and member of the Skaggs Institute for Chemical Biology at TSRI.